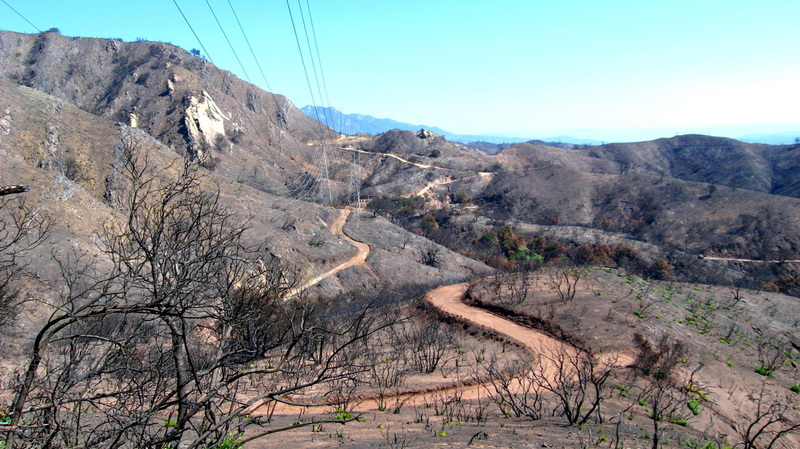 In early July 2008, the Gap Fire consumed 28 km2 of steep, chapparal dominated terrain near Santa Barbara, California. Wylie basin is one of many steep, burned basins within the perimeter of the GAP Fire and was chosen by the USGS landslide hazards group as their yearly burned basin study site. In September of 2008, I traveled to Santa Barbara to assist with the Terrestrial Laser Scanning of a small sub-basin within the perimeter of the GAP fire. A second survey was made in late December 2008, without my assistance, after 52mm of rain fell on December 14, 2008. Both surveys required 14 scan locations, 7 targets and collected ~160 million points over two days. The surveys were filtered for vegetation and two 1cm digital terrain models (DTM) were developed. The mean absolute errors for x, y, and z within and between surveys were less than or equal to +/- 3mm. Currently I am working on a publication using these surveys, entitled "Observations of Unsealed Road Impacts on a Recently Burned Drainage Basin." The article assesses the ability of a terrestrial laser scanner to quantify hypothesized elevated surface roughness below a hardened soil push-out drain in comparison with surface roughness values in the rest of the basin not effected by the drain. Figure 1 (left) shows hydrologic sub-basin delineations (dotted lines) and plots used for surface roughness calculations. For perspective, each plot is 5 x 5 meter and contains 250,000 data points. In April, 2010 I gave a 5 minute presentation as part of an interactive poster session at AAG (Association of American Geographers) in Washington, D.C. My presentation focused on the methodology used to analyze surface roughness across the basin. In April 2011, I gave a 20 minute presentation on the final results of my surface roughness calculations. The talk was apart of a broader focus group on terrestrial laser scanning and high resolution terrain analysis in Geography. I am also using the surveys for my masters thesis. My proposal "Sediment Connectivity in a Recently Burned Basin," observes the connection or disconnection of sediment flow paths as they are altered by fire and first significant rain event. 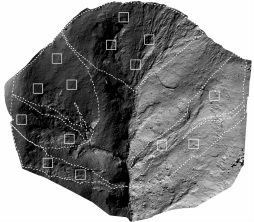 (Fig.1) 1cm hillshaded DTM of the Wylie basin. 1m ALS (Airborne Laser Scan) of the study site and surrounding topography. Scan Station 2, Dell Ruggedized laptop, 1000 watt Honda Generator.